Georgia-11J is a high-yielding, high-oleic, TSWV-resistant, large-podded and large-seeded, Virginia-type peanut variety. Georgia-11J has the high-oleic (O) and low-linoleic (L) fatty acid ratio for improved oil quality. Georgia-11J is similar to Georgia-08V, another high-oleic Virginia-type variety, in having low TSWV disease incidence, high pod yield, high total sound mature kernel (TSMK) grade percentage and high dollar value return per acre. During tests over several years at multi-locations in the state, Georgia-11J had a significantly higher percent of jumbo pod size and a higher percent of extra large kernels (ELK) compared to Georgia-08V. Georgia-11J also has a later maturity, larger plant size and greater seed weight than Georgia-08V. 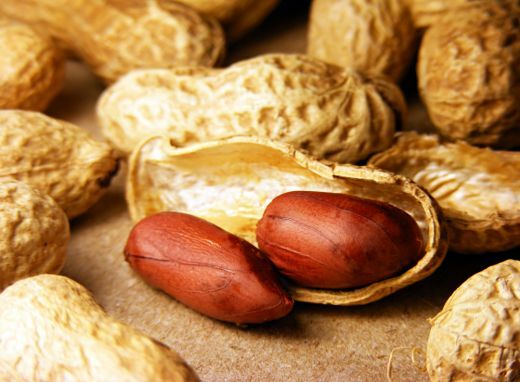 Both, however, are excellent Virginia peanut varieties. Georgia-11J was developed by Dr. William D. Branch at the University of Georgia's Coastal Plain Experiment Station in Tifton, Ga. and released in 2011.This protected peanut variety can only be sold as a class of certified seed by individuals who are licensed by the University of Georgia Research Foundation (UGARF) and Georgia Seed Development (GSD).